MainStay Suites offers spacious, all non smoking, suites with kitchens. All suites offer queen sized beds, a sofa that makes a full sized sleeper, and a kitchen with a full sized refrigerator / freezer, microwave, two burner range top, dishwasher, garbage disposal, coffee maker and toaster. Along with your suite comes the fun and relaxation of our indoor and outdoor pools, indoor and outdoor whirlpool spas, lazy river pool, kid?s pool, exercise room, and guest laundry. Enjoy your continental breakfast to jump start your day in Pigeon Forge. 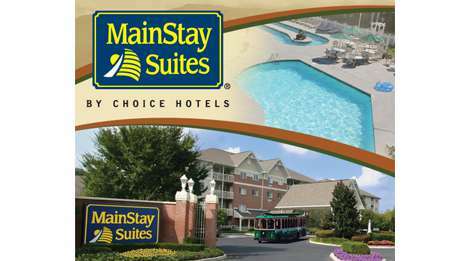 MainStay Suites offers true value in providing everything you need for a great vacation, meeting, or reunion.